The pump on your pool plays an important role. If it isn’t working properly, your pool might not move and filter water. That could lead to an unwanted situation; leaving you with dirty, unfiltered water unfit for swimming! If you see tiny bubbles on your pool water’s surface, it’s time to check the pump. More than likely you’ve got air in your swimming pool’s pump system, possibly due to a malfunctioning thread sealant in the pipe leading from the pump, a leaking or loose pump lid, a problem with the valve stem or another plumbing problem. Whatever the cause, it’s important to fix the air leak to avoid a costly repair down the road and before the leak sidelines your poolside fun. Low Water Pressure. Check the filter pressure. If it is lower than normal, there’s a good chance you have air in your pump system. Cracks. Examine the pump’s lid and make sure there are no cracks. Note: it’s usually less expensive to replace the pump lid than to try and repair it. Loose Fitting Components. Make sure the pipe that goes into the pump fits securely. If it is loose, it’s time to call a pool technician. This is a simple job for a pool repair person, which shouldn’t break the bank. Broken or Loose Lids. Check the strainer lid on the pump. If it isn’t on tight or is broken, air may be getting in through the lid. Remember to turn the power off on the pump at the breaker box before checking. Does My Pool’s Pump Have an Air Leak? While air leaks are one of the most common pool issues, finding the leak can be tricky. In fact, according to TroubleFreePool.com, pool air leaks are like drinking through a straw with a hole in it. The issue is easy to overlook – but the good news is, that while it can be very difficult to find the leak – once you’ve identified the issue, the repair is normally simple. A simple shaving cream test (that’s right, shaving cream) can help determine how sealed your system is. Spread shaving cream (gel won’t work) over your pumps suction joints and fittings. If you see a layer of foam begin to dimple, you’ve located a leak. Because the foam is less resistant to water, it will get sucked in easier, thus helping you see the problem area quickly. Consider shutting down the pool equipment and use your ears to for any unusual sounds. Once the pump is shut down, look for a sudden spray of water – indicating a leak. Try pressurizing the manifold by using an external pump or a “drain king” that will attach to a garden hose. Once suction valves are closed and the pipe is under pressure you can look for any leaks or drips. Almost every pool will eventually endure an air leak in its system. The best thing you can do is to know what to look for and be prepared. 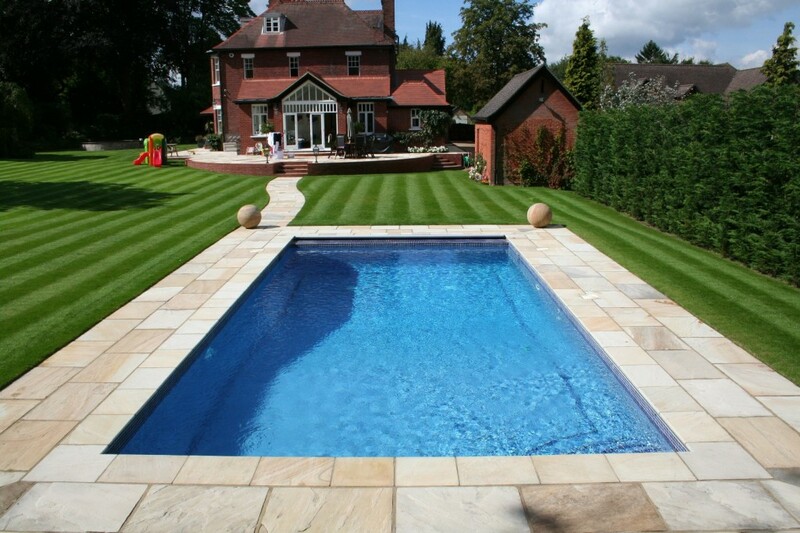 Before every pool season, give your pool a thorough check-up with a qualified technician. Or, be ready to do your own investigating of your pool and, in particular, its pump. Check the plastic flap, or skimmer weir, at the throat of the skimmer that keeps the debris in the skimmer when the pump is off. If the skimmer weir is stuck, it can cause the skimmer to drain and take in air. Also check that the pump basket lid is on tight. Lastly, always check that all plugs are tight. Remember: if you find a leak, you can reseal the area using some epoxy putty. This is an inexpensive way to keep the leak at bay, but eventually you’ll want to call your pool technician to properly fix it, so that no summer day is wasted.